Wow, this year is flying by isn’t it? I hadn’t even realised that Easter weekend was so soon! I remember last year the weather being lovely, so I do hope the sun comes out to play this year! Here are some Easter Weekend Activities you can do with your family – come rain or shine! 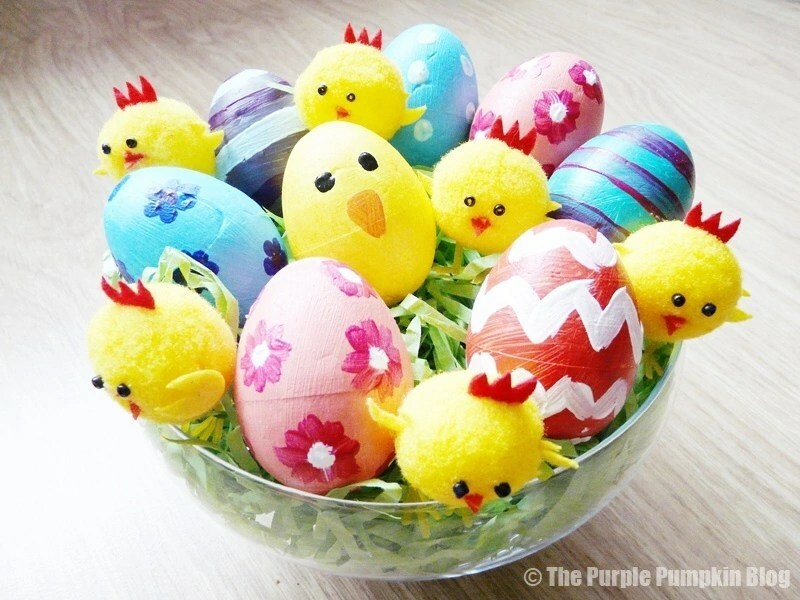 Head to your local pound shop or craft shop and pick up some polystyrene eggs, some acrylic paints and brushes and let the kids unleash their inner artist decorating their own eggs! Full tutorial here. If your kids are a little bit older, you could blow out some real eggs – pierce a small hole in the top and bottom of the egg with a pin, making the bottom whole a little bigger, and blow the egg from the top into a bowl. Run under water to clean it out. Leave to dry before painting. 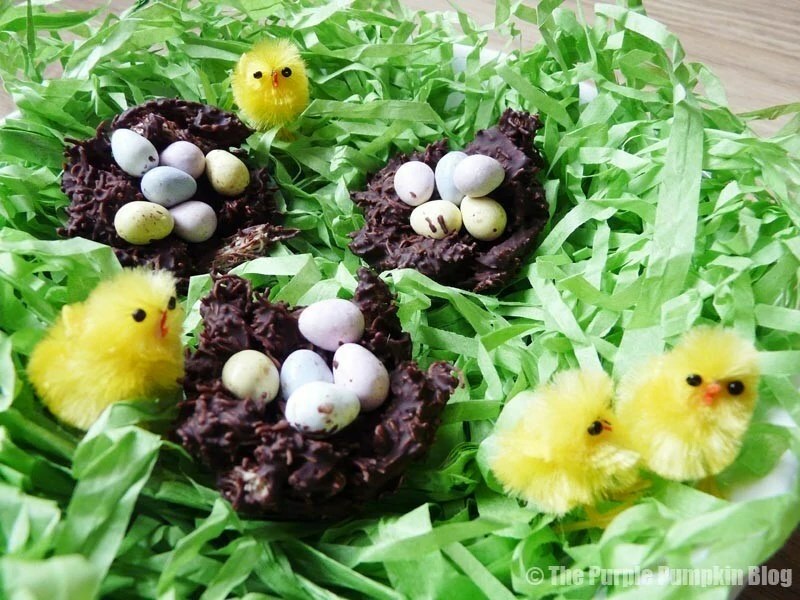 All you need is some cereal (cornflakes, rice crispies or shredded wheat) and melted chocolate to make these chocolate birds nests. Fill them with mini eggs for a tasty Easter treat! They’re so easy that even the littlest of children can help to make them. 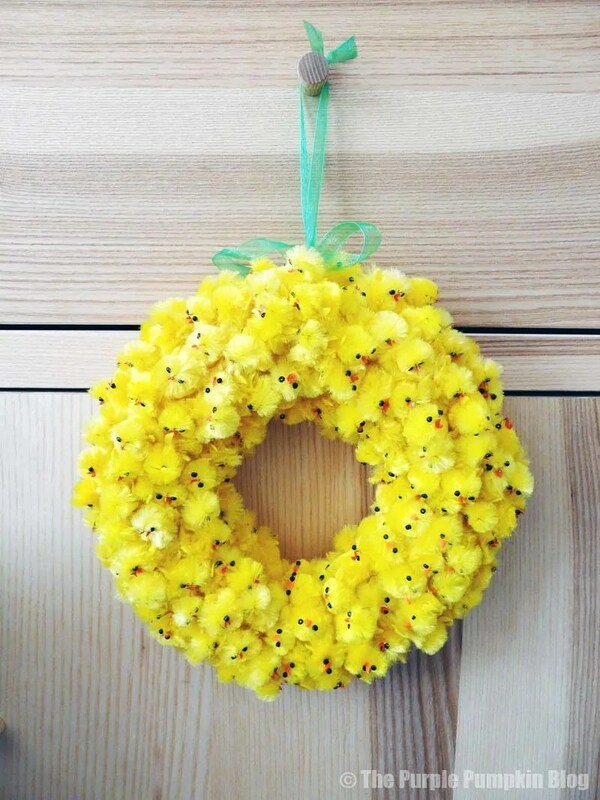 You are going to need a LOT of those fuzzy chicks to make this wreath! I made this a few years ago and it still comes out for Easter weekend to decorate the house! To make this into an easy craft for kids, take a paper plate and cut a circle from the middle to form a ring, paint it yellow and then stick a few fuzzy chicks to it instead of this full blow fuzz-fest! Colour In This Easter Bunny…. Print lots of these Easter bunny colouring sheets for your kids and let them lose with crayons, felt tips, pencils or paints! You can colour them in all the colours of the rainbow! I made these printables last year to set up an Easter Egg Hunt for my niece. You can use chocolate eggs, or plastic eggs (which you can pick up in poundshops) and hide them either in the house or in the garden – adjust the hiding locations depending on the children’s ages! Easter is a Christian festival celebrating the resurrection of Jesus Christ after his crucifixion. I was brought up as a Catholic, but I don’t practise any more… It doesn’t mean I’ve forgotten what this time of year symbolises. I’ve made posters in the past for Good Friday and for Easter Sunday and it’s a good opportunity, if you are religious, to talk to your children about Easter and its meaning. Whatever you do on the long Easter Weekend, have fun, stay safe and enjoy the break with your family!